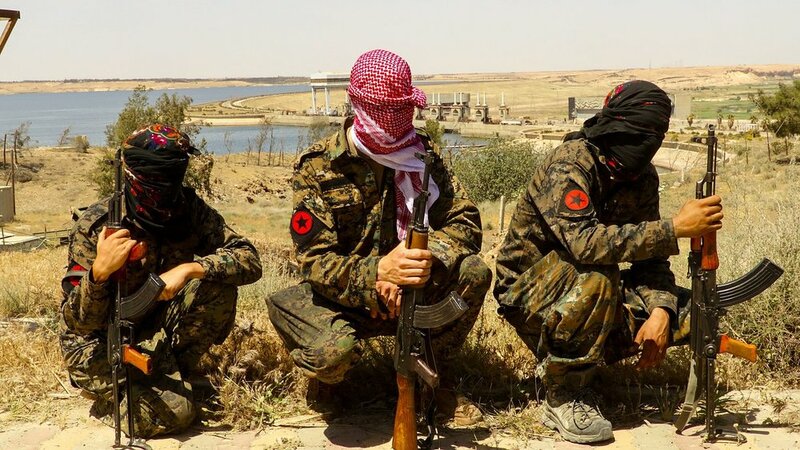 IRPGF fighters, an anarchist communist collective fighting ISIS and considered a terrorist organization, in Tabqa during the Syrian civil war in 2017. The group dissolved in 2018. Photo via Creative Commons. (COMMENTARY) What is the current world situation with religious persecution? Muslim factions also oppress Jews, Baha’is, Yazidis and Ahmaddiyas. Buddhists oppress Muslims in Myanmar and Hindus in Sri Lanka. Hindus oppress Muslims in India. Jehovah’s Witnesses are oppressed in Orthodox Russia. Communists oppress everyone. Not long ago, Northern Ireland provided a rare modern crisis of Christian-on-Christian bloodshed. But far more typically, Christians are victimized by non-Christians, especially in lands with Muslim majorities or ruled by atheistic Communism, and believers can be victimized with impunity. This article was published at Get Religion.